If you’re not familiar with the illustrious Brooklyn-based label Captured Tracks, then you’d be missing out on some great ear candy seeing as how it’s home to bands such as Wild Nothing, DIIV, and many more. 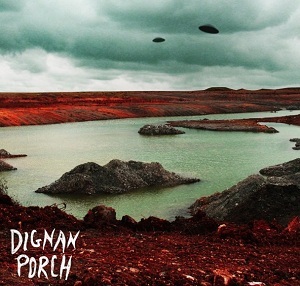 The label showcases a variety of artists who each offer something unique, and UK outfit Dignan Porch certainly are no exception. Their sophomore release Nothing Bad Will Ever Happen is immersed in spine tingling psychedelic fuzz and subtle chaotic, yet precise indie rock — all lending to the undeniable need for more than one spin once it’s over. While Dignan Porch began as a solo effort by front man Joe Walsh, it’s grown to be a five piece, and that makes for a noteworthy shift in style from their debut Tendrils. Tracks like “Sixteen Hits” and “Sad Shape” have a way of wrapping the listener in a nostalgic, slow building, reverb filled trance, while “Picking Up Dust” and “TV Shows” is surrounded by a sound that could’ve easily been created during the nineties. Judging from the title Nothing Bad Will Ever Happen sounds oddly optimistic and happy, but what you get is ironically something that’s quite the opposite. Don’t let that fool you though because regardless of the undertones of this album, it’s something to rejoice over and it will be for plenty of time to come.